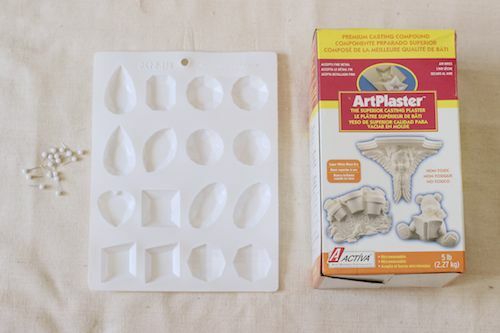 Every now and then a craft project falls into my inbox and I’m blown away by how the simplest ideas are often the best. 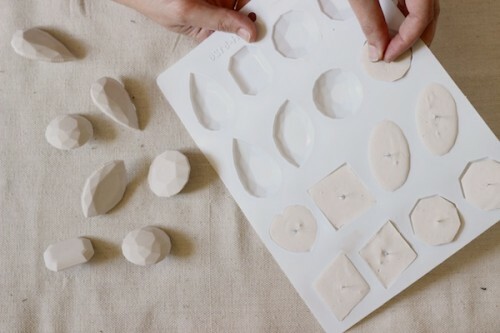 This clever plaster push pin project comes from blogger Mandy Pellegrin of Fabric Paper Glue. She was kind enough to share it here with us today. 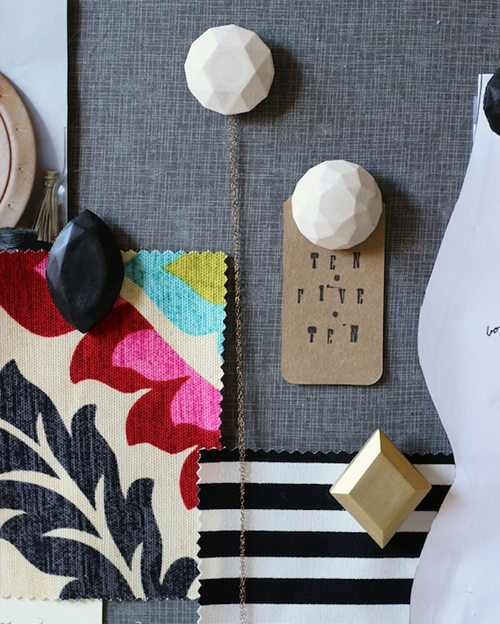 Sure, Pinterest has revolutionized the way we keep tabs on our sources of inspiration, but if we’re honest, nothing can really replace a good old-fashioned bulletin board. They’re not only home to our favorite glossy clippings; they can also be a place to stow and display the items that represent so much more than the visual stimulation afforded on our computer screens — a place to keep the tactile textures of our favorite fabrics, little reminders of life’s events, or sweet handwritten notes. 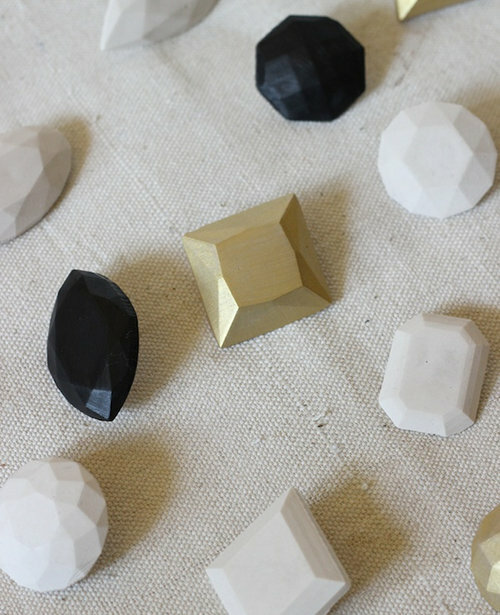 So, why not give these items the presentation they deserve by using pushpins with a little design flair? 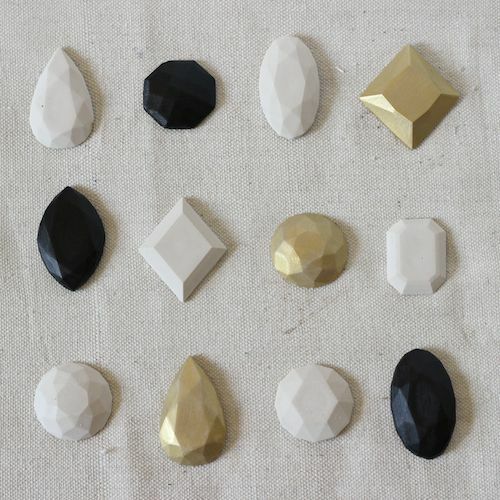 With this DIY, you’re three steps (four, if you’re ambitious) and about 15 active minutes away from a truly unique set of gem-shaped pushpins. 2. A s the plaster begins to become rigid (about 5 minutes), submerge the end of a pushpin in the middle of each mold.